One day, in 2004, I looked up, near the entrance of the Geneva apartment and noticed a poster. These posters, hung on street lights often advertise cultural events. This poster was Very colorful and it said: Retour en Afghanistan. The photograph of refugees dressed in bright colors, traversing the snow, was signed with a single name: Zalmai. My eldest brother who was visiting Geneva accompanied me to the opening. We discovered the panoramic size photograph of the refugees, many vivid portraits, other panoramics of the empty niches of buddha of Bamyan, bricklayers as well. It was all evident that the Afghan photographer was talented and very enthusiastic about his return from exile. He had lived in Lausanne, Switzerland and he was sponsored by UNHCR. We had to meet him! When we introduced ourselves, he hesitated. He had met a Lebanese guy on the plane from Kabul, whose brother-in-law was Afghan. It was our younger brother-photographer. Indeed, the latter confirmed that he had gotten a few tips from the professional photo journalist. The Afghan world is small and it was a year later that my husband facilitated the exhibition of Zalmai's photographs in Dubai. I met my closest friend there: an Afghan princess in all senses of the term. I also chose three of the panoramics for our collection. I knew we were acquiring a part of our heritage. Zalmai's photos are the post war relics as Roland and Sabrina Michaud photos are pre war mementos. We got more acquainted with Zalmai. I must say that while he may be Westernized and almost fashionable, he retains that formality that is an obligation between an Afghan man and a woman. With me he exchanged a few French words (we also had Switzerland in common). Last time I saw him, he was on his way to a new project in Afghanistan in 2005. This time he was photographing the opium cultivators, traders and addicts. I have followed his work in the press. He says that he only does black and white because his vision of his world is bleak. He has forgotten the three photographs that we live with. The one of the brick layers and the one of the Buddha-less Bamyan may be brownish and covered with clouds of dust, but the one of the refugees marching in the snow in their brilliantly covered clothing is certainly a color photograph. 2004 was a hopeful year for him because he returned to his homeland. For Afghanistan, it was the period of optimistic reconstruction. I often remember the view of that poster, hung in the streets of Geneva. We have not seen Zalmai in a long time. He retains that out-of-reach characteristic while he works that gives him a certain aura. I remember meeting Zalmai that summer of 2004 in Geneva. His photographs were real and exotic at the same time. I had just returned from Kabul a few days ago and his pictures took me back to the scenes I had just witnissed with my own eyes but now I was seeing them through Zalmai's lense. I was lucky to have spent a few days with Zalmai in Kabul in 2005 while he was getting ready for his new project for UNHCR. Ok after much prodding by the Blogger, I will write more about my encounters with Zalmai. Blogger did not think my previous comments sufficient. 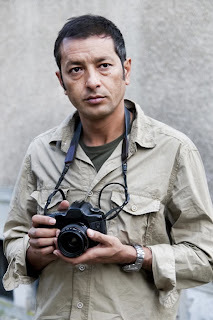 The first time, I met the enigmatic photographer was in Geneva during his Retour en Afghanistan exhibition. I had just spent a week in Kabul and therefore my head was full with images and sounds. When I first met him, I remember him being very shy. We exchanged a few words and I congratulated him on his work. The second time I met him was in Dubai during the exhibit organised by my brother in law. The Afghan diaspora was all present and an aura of optimism was in the air. Afghanistan was hot! I got to speak more in length with Zalmai and we had dinner at Noodle House in the Emirates Towers. We discussed my imminent trip to Kabul. 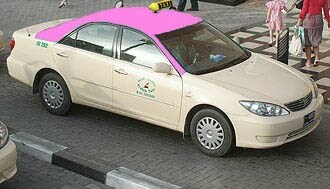 The next day we toured Dubai together and I took him to the seedier side of Deira and Satwa. I remember him shooting pics and wondering if he would take my pic. I guess I wasn't cool enough for someone who had a rumored affair with a very famous US actress! :-) In any case, I remember him helping me chose an appropriate Patagonia jacket for Kabul. I still have it! The fourth and last time I saw Zalmai was when I was in Kabul. I picked him up at the airport. I remember how thankful he was. He was very polite. A special treat was when he took me on a tour of Kabul to return the favour. I was priveleged to witness Kabul through his lense. He even showed me where he took infamous pics of the Taliban taking over Kabul. He then took me to several sites in Kabul which inspired him (including strangely enough an all male improvised gym). We ended our fantastic journey by having dinner at a French restaurant . The next day Zalmai disapeared into the Afghan heartland to work on his new project shooting heroin addicts for UNHCR. I haven't seen him since. It's been 5 years. And no, I never got my pic taken by Zalmai.